Most Australian organisations are on a quest to become customer led, and Tabcorp is no different. Facing with digital disruption, and an increasingly cluttered gaming and wagering market thanks to the arrival of global competitors on Australian shores, the business is making a number of step changes in order to better resonate with modern-day punters. Recently appointed CMO, Claire Murphy, says the implications for marketing are no less dramatic. Since March, she has been overseeing a restructure of the marketing function from decentralised silos supported by a customer, data and analytics team, to a centralised and strategic function with a seat at the executive table and a vision to deliver value. “Marketing had a very operational focus, and while it served its purpose, there was recognition that in order for marketing to have a seat at the leadership table, take up a thought leadership role and advocate for customers, and have an umbrella view of strategy, data and analytics and share best practices, then we had to shift,” Murphy tells CMO. So what does being customer led actually mean for Tabcorp? The first key ingredient is that brand and marketing strategy takes its inspiration and fertilisation from customer insights, Murphy says. The second element is creating a cultural shift to bring the customer to every meeting and decision across the business. To do that, Murphy says it’s vital to create a line of sight to the customer for every staff member, whether they’re in frontline services or accounts payable. To help, Tabcorp has made a major investment into CRM, deploying Salesforce firstly across its sales teams 12 months ago, then across marketing last October. “For an online capability, that’s a great communications tool, but we have a retail business as well, and as predominantly a cash-based transactions business, it makes it harder to use CRM to influence outcomes,” she says. “We’re using different tools and looking at a voice of customer platform, which will help us better understand those journeys and improve them. While there is an appetite for change, it doesn’t make it smooth sailing because it is a big cultural shift to put customer at the very heart, Murphy admits. One thing that’s helping is the creation of a single customer insights function. “That way we can draw insights to allow us to have one view of the customer, and create shared insights, rather than a fragmented view sitting in different parts of the business,” she says. Tabcorp is also implementing the Net Promoter Score company-wide. “It’s a tangible way for a business that loves numbers to visualise and epitomise where we sit with the customer,” Murphy says. Marketing’s relationship with customer service has changed too. Tabcorp maintains three arms of customer-facing roles: Its call centre, on-course environment, and retail network. Murphy started her career in customer service work with Beaurepaires as national customer service manager. The business identified her as having strong potential for marketing, and she quickly moved into a junior brand manager role on tyres, staying with the group for five years and moving up to marketing manager. Murphy’s next step was to relocate to London, where she took up a communications role promoting the city as a destination to emerging markets such as Russia, Brazil, India and China. It was then Murphy was offered a job with the World Wrestling Entertainment (WWE), an interesting challenge given both the masculine nature of the industry as well as the brand itself. Promoting the property to all markets outside the US and Canada, the role ranged from PR stunts to talent visits, public affairs strategy, and required commercial focus. After three years, Murphy moved back to Melbourne and became chief commercial officer of Melbourne Storm at a turbulent time for the rugby league team following controversy around player salary caps. “The club had lost a lot of sponsors, fans were disenfranchised, and we needed to rebuild people’s faith and generate local pride, then translate that into B2B outcomes,” Murphy says. “A lot of that was bringing the story of the club to life and rallying Melbourne behind the club and the culture it had created. A brief stint at Crown, followed by a marketing director’s post at Sportingbet (now William Hill), led Murphy to be appointed GM of marketing for Keno and gaming role at Tabcorp. She was promoted to CMO in March after acting in the role for a few months following the departure of Mike Smith. Today, Murphy is overseeing a strategic marketing function, with brand and strategy, CRM, customer, data and analytics; then operational business unit marketing teams, to lead the performance side and execute activity. 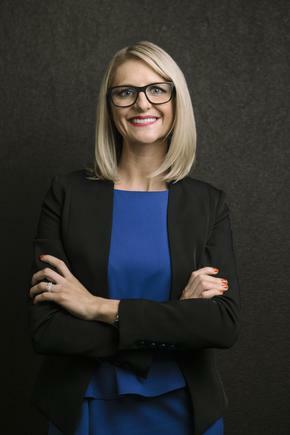 To date, her priority has been to bed down Tabcorp’s new marketing and insights structure as well as processes. “What I’m now seeing is a very collaborative way of working, and a modern approach where are going to have cross-functional teams working together to deliver strategic outcomes, rather than a siloed approach to marketing,” she says. The focus now is how to develop a best-in-class function, be strategically led, advocate for the customer and help Tabcorp become a customer-led organisation, Murphy says. “The question is how we make sure marketing drives the performance of the business through that strategic lens, and our work is of a consistent standard, and how do we build great talent and capability,” she says.